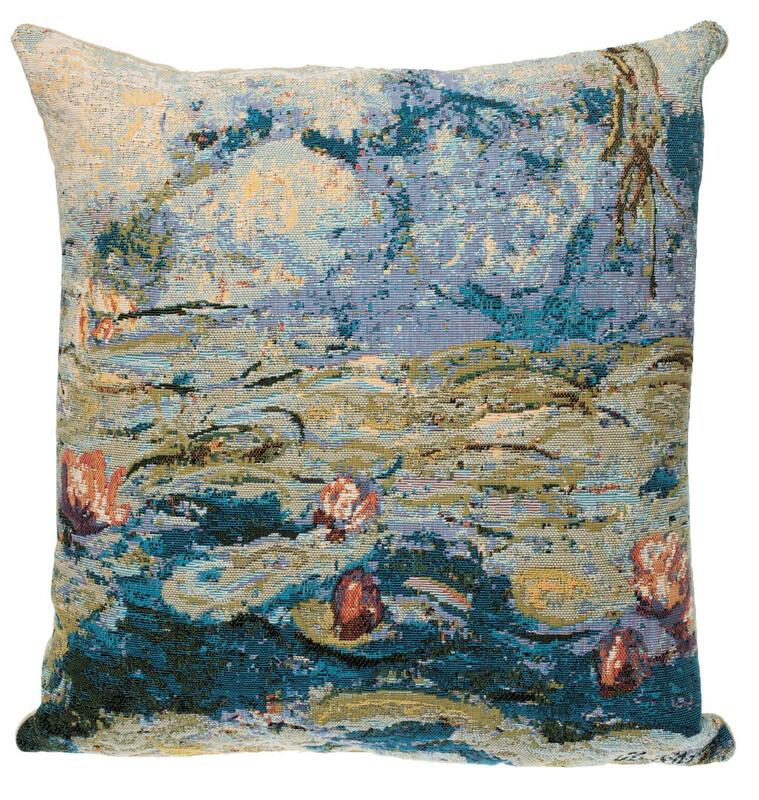 This cushion is woven in Belgium on a jacquard loom with 100% cotton thread. It is lined with a beige velvet backing and closes with a zipper. The gobelin quality is obtained by a denser, thicker weft and as such is somewhat heavier than the regular tapestry quality. Size is 45x45 cms (18'x18'). We advise an inner of 50x50 cms (20'x20'), because we like our cushion covers well filled. Please note that this offer does not include the inner. Origin : woven and finished in Belgium, cradle of tapestry weaving !